First, there’s the assumption that the Sox will go with 11 pitchers. With eight position players and a designated hitter plus four starting pitchers, that leaves room for five bench players and seven bullpen pitchers. Four of the bench spots seem to be shoo-ins with Jonny Gomes, Mike Carp, David Ross, and Xander Bogaerts. That leaves one bench spot to Jackie Bradley, Jr., Quintin Berry, or John McDonald. My automatic reaction is to say they should go with Bradley, Jr., who is reasonably quick, can get some production, and is solid in the outfield. But then I think of 2004 and Dave Roberts. Quintin Berry is a threat to steal, and as a Sox fan, it’s hard to think about Roberts stealing second in Game 4 of the ALCS and say that Berry’s speed isn’t that important. I’m just really glad that this isn’t a decision that I have to make because I don’t know if I could do it. Now there are the seven bullpen spots. 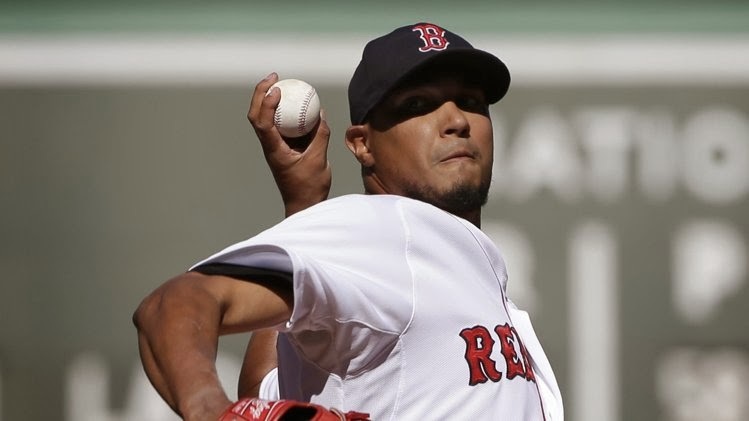 According to MLB.com’s Ian Browne, Koji Uehara, Junichi Tazawa, Craig Breslow, Brandon Workman and Ryan Dempster “seem to be definites.” Among the options for the last two spots are four lefties - Felix Doubront, Matt Thornton, Drake Britton, and Franklin Morales. After Doubront’s last start, it would take a lot of convincing to get me to pick anyone but him for some left-handed reinforcement. As for that last spot, something is telling me to go with knuckleballer Steven Wright. Maybe it’s memories of 2004 again with Tim Wakefield, but I think that having a pitcher with such a difficult pitch might be prove to be a weapon. Regardless, these decisions are going to take a lot of effort from Red Sox management. *For those who don’t know the postseason roster rules, this article from Comcast SportsNet Bay Area from last season does a great job explaining them.